A session musician comes on board to play during a session, either in the studio or on stage but is not a permanent part of the band. They may come in and play on one song during a recording session, or they may join a band for an entire tour. When a session musician makes a one-off contribution during recording, the lines between the session musician and the band are quite clear and distinct to everyone involved. When a band tours with session musicians on tour for a long period, it is easy for these lines to be blurred if there is not a clear agreement in place. Some session musicians are employed by studios and primarily work in one geographic location. Many more are independent contractors who find work by word of mouth; sometimes a studio recommends them to people coming in to record, or artists recommend session musicians they have worked with to friends, and so on. Session musicians work in studios, and they often go out on tour as well. It used to be fairly common for a label to have a roster of session musicians on the payroll as a matter of course. Only large labels can afford to keep session musicians on staff these days. 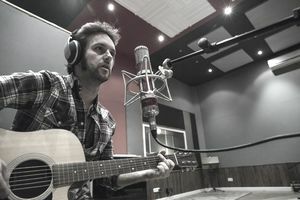 In many countries, there are set rates of pay that session musicians receive for studio recording and live performances. These rates of pay differ from country to country and can be found out by contacting groups like the Musicians' Union or the American Federation of Musicians. If there are no official "set" rates for your area, there will certainly be an accepted "going rate" that the session musician should be paid. In exchange for these set rates of pay, the session musician signs away their future rights to the recordings. That means that if a session musician plays on an album that goes platinum, the session musician doesn't get to come back for a piece of the profits from that recording. The same goes for a live show. The session musician gets paid his set rate of pay whether the show lost money for the band or the show was a major money maker. There are rare instances where bands offer their session musician a future percentage of income from the recordings on which they took part, especially if the band cannot afford the session musician rate, but these deals leave a lot of gray area for both sides. Sometimes if a band and a session musician have worked together previously, they'll work out agreements on a case-by-case basis. This kind of arrangement should only be entered into if both sides know and trust each other well, but it can lead to longer-term work for the session musician and peace of mind for the band. A reliable session musician can be a key part of getting an album done on time and can be a lifesaver on the road if a last-minute replacement for a band member is needed. Band members and session musicians will benefit from having a clear contract in place.